Body Butter with combination of vitamins C, B1, B2, B3, A gives a concentrated blend, rich and full of moisture. Body butter is "a moisture shot” for the skin. Daily use after a good shower will make your skin soft to the touch, a fabulous shine and an exciting scent considered as aphrodisiac. The butter contains Deas Sea minerals. Body Peeling Soap with Exclusive tripleaction formula. Cleanses the skin thoroughly, leaving it velv.. 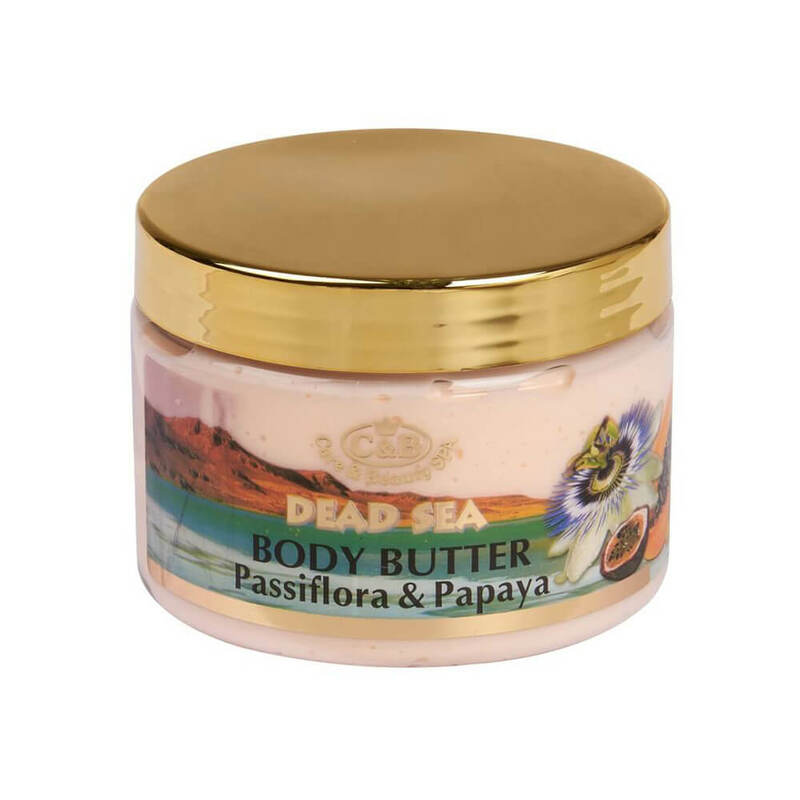 Body butter with a rich pampering texture and a sensual scent, gives your body a firm, toned look, h..